A study published in "Diabetes Care" in July 2003 found that a diet low on the glycemic index made it easier for people to maintain a healthy blood sugar level. 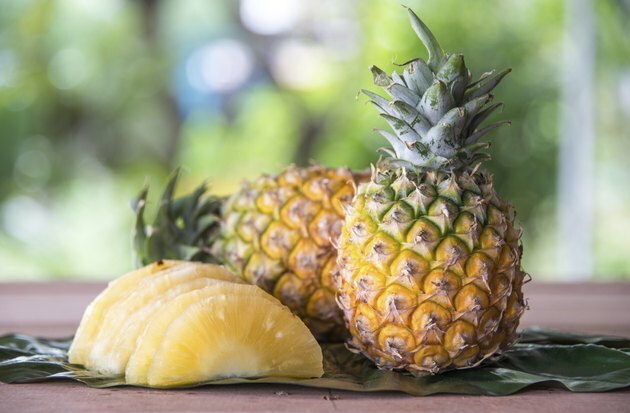 Although pineapple can be a nutritious food since it provides significant amounts of vitamin C, thiamine and manganese, people with diabetes may want to limit their pineapple consumption due to its high carbohydrate content and glycemic index. Glycemic index and glycemic load estimate the potential effect of a food on your blood sugar levels. Fresh pineapple has a high glycemic index of 94, and canned pineapple in juice has a GI between 61 and 79, making it a moderate- to high-GI food. This doesn't take into account serving size, however. A serving of slightly under 3/4 cup of fresh pineapple has a glycemic load of 6, putting it in the low category and making it unlikely to cause blood sugar spikes. Pineapple is fine for diabetics as long as they watch their serving size. Eat pineapple with foods low in carbohydrates or low on the glycemic index to decrease your meal's overall glycemic load and limit blood sugar increases. Watch your total carbohydrate intake at the meal. Have no more than three to five 15-gram carbohydrate servings per meal. Each cup of raw pineapple has about 22 grams of carbohydrates, and the same amount of drained juice-pack canned pineapple has about 28 grams. Pineapple canned in heavy syrup has over 51 grams of carbohydrates per 1-cup serving.